The Payolas (or just Payola$) were part of Vancouver's new wave of bands and active in the Canadian music scene for a decade from the late 1970s, recording several albums and singles that were Canadian chart hits. They disbanded in 1988, but reformed again from 2003 to 2008, issuing a new EP in 2007. The band's name is a reference to the payola scandal in the United States in the early 1960s. The group was based in Vancouver, British Columbia, and recorded mostly at Vancouver's Little Mountain Sound Studios. 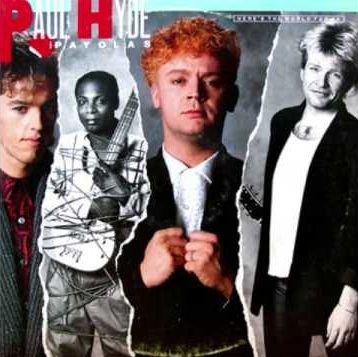 Through several lineup changes and name changes (the band also played as The Payola$, Paul Hyde and the Payolas, and Rock and Hyde), the Payolas core members remained Paul Hyde and Bob Rock, who together wrote virtually all of the band's songs, occasionally with co-writers. As well, Rock engineered and mixed virtually every Payolas recording.